What a great sign, not only is it novel but works as an excellent beware of dog sign too. 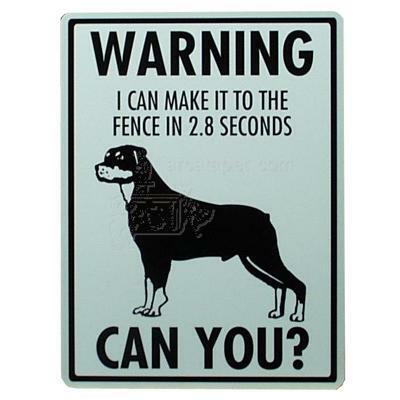 Let people know that you have a Rottweiler on guard! Sign made of heavy duty vinyl on aluminum. Measures 9 inches x 12 inches. This sign is not pre-drilled.